1982 Bassett Pro rider condition, with Tange TX1200 forks. 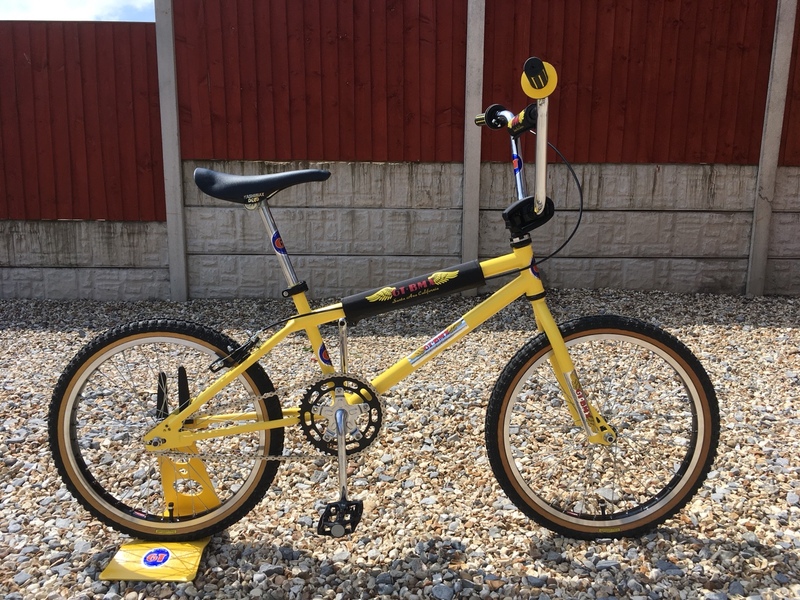 OG Tech dia compe brake set up, but with later Scott pads. GT Expert bars, with blue and white B2B grips. 1981 unstamped OPC, original Tange BB & headset. Blue Suntour PowerStem, Kashimax MX seat, silver DX pedals, rolling on the original silver 7X's with blue Suzue hubs, covered in blue comp2 tyres (fat and thin). 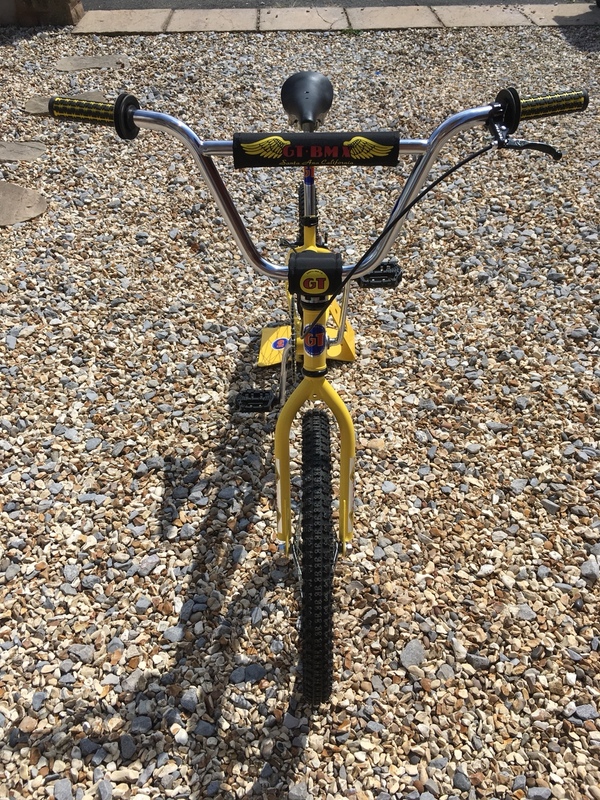 Most of the bits came with the bike, which I bought from an old boy in Bristol who bought it for his daughter in '83. 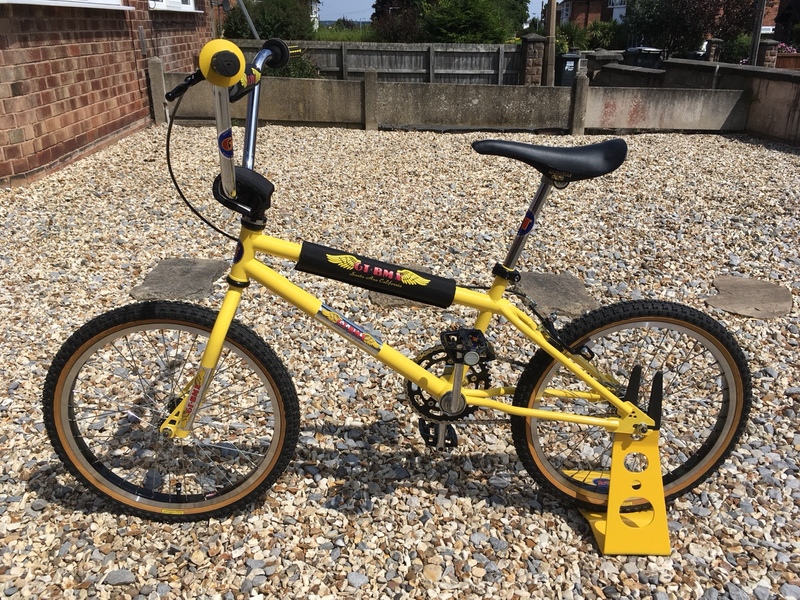 Basically the plan was to emulate the 1986 Dyno Compe II magazine bike but NOS white Shinkos became the sticking point so I then found a 1986 Dyno magazine ad for the same bike and the only change was the tyres. Got the initial build finished yesterday. Repro custom decals from Del. Will continue to look for sensibly priced parts to replace the repro stuff and need to shorten the brake cable! I'm pleased with the way it has turned out and can now concentrate on the Falcon Pro Beta 24 build which I am actually intending to ride when finished. WOW some nice bike in this month. 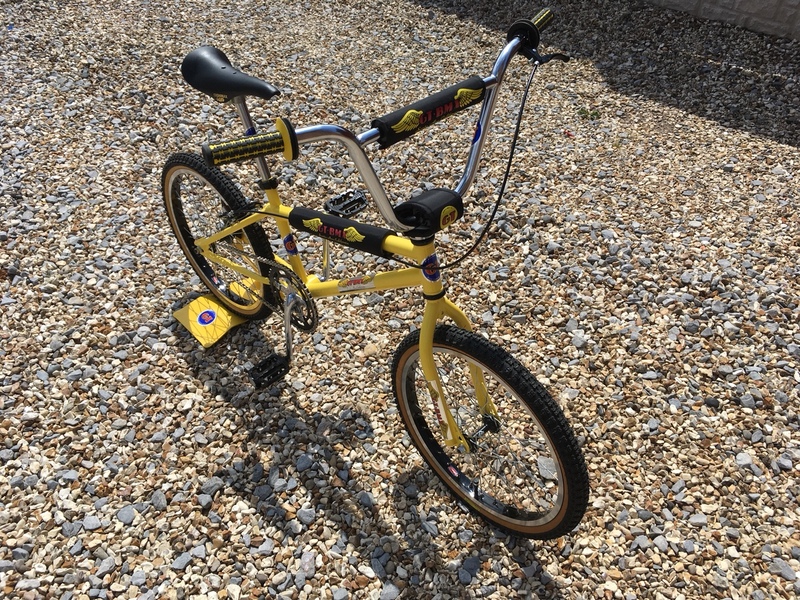 I've just finished a bike, is it to late to enter July? 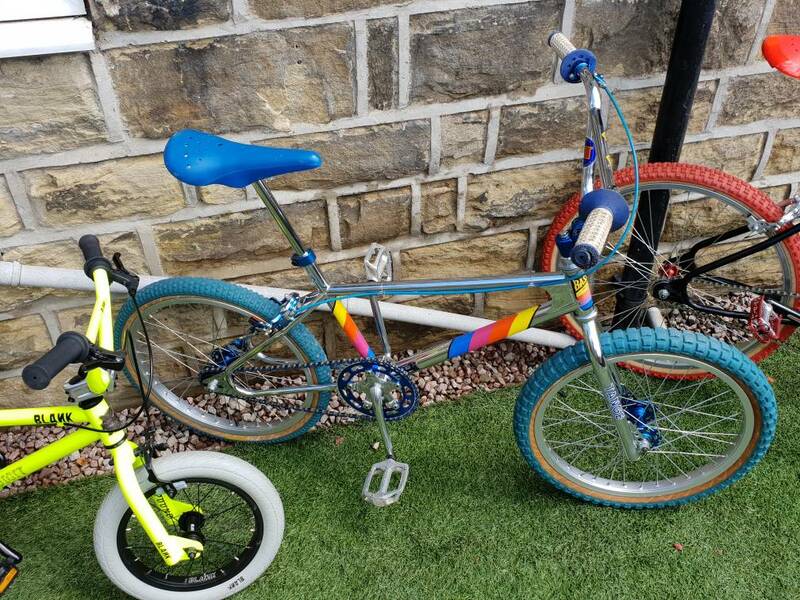 Frame was originally chrome but later painted,Christian said he would love to see it built as a survivor with original chrome so I carefully stripped paint and polished the chrome then used survivor \ used parts which is a first for me!! !